Most people know that Randy Dang is a fan of baseball, particularly a big fan of the New York Yankees. However any fan of baseball knows a good play when they see one. Today, in the big leagues, witnessing three time all-star Anthony Rizzo of the Chicago Cubs fall to his knees after hitting a homerun ranks up there in history as one of the best plays in MLB. Check out this twitter post by Sports Center! It’s reasons like that we call ourselves baseball fans at Dang & Company Ltd. not simply because Randy Dang is a big time fan of the New York Yankees but because since 1850 baseball has been referred to as a national past time. Baseball brings people together whether by playing the sport or watching it! Go Cubs! Er … Go Yankees! Author adminPosted on August 22, 2018 Leave a comment on Calling all baseball fans. Among all the things that wind up on a small business startup to-do list, there is the necessary task of accounting that hides in plain sight! As complicated or tedious as accounting may seem, it is vital to the growing success of virtually any business and they must be handled efficiently and appropriately. With that said, professional accountant Randall Dang has six essential tips to help your startup get off on the right foot! Time to break out your notebooks and pencils because you have some homework to do! Whether you are planning the launch of your startup or you’ve already got it up and running, it’s really important to do your research on things like understanding tax forms, write-offs, tax deductions, laws and licensing requirements, and other policies pertaining to your business. Awareness of such information can help you down the road by protecting your business – hindsight is always 20/20. Head to a bank of your choice and open up a separate business account to make it easier to track and record all of your business’s income and expenses. This will make things easier during tax time and a simple checking and savings account can suffice. Additionally, research some of the benefits of a business credit card because even businesses can have credit scores. Randall Dang says that it is critical to the success of your business to track every business expense with receipts to verify them. This also includes any payments you have made on bills and even infrequent travel costs need to be documented. If you don’t track your expenses, you will have a hard time creating reliable financial statements and it can jeopardize accurate reports on your tax returns. Bookkeeping is necessary in order to create clear and accurate reports. 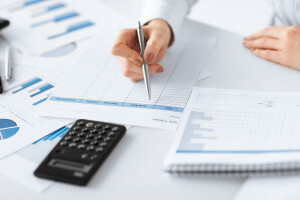 Many small business owners will first start the bookkeeping process with computer programs that inputs the data in spreadsheets but once the business begins to grow larger, they may pass off the duties to an accountant. While writing out a check to an employee seems pretty easy to pay them for their work, it’s a little more complex than that. You’ll need to establish a credible payroll system that has a schedule and can withhold the appropriate amount of taxes, exemptions, etc. If you don’t want the government to come knocking at the door of your business, you better pay your taxes! That means you need to understand what taxes your business owes and also must be aware of tax breaks that can benefit your business. Failure to pay taxes can lead to hefty financial ramifications and it’s wise to hire an experienced accountant to manage them for you. While these six tips are the barebones minimum, you still have quite a bit of homework to do to ensure your business is on the path to success. Just keep these items in mind as you navigate the waters of business ownership! Spend a few minutes with Randall Dang, and you’ll learn very quickly that he likes numbers. Randall Dang went to school for accounting, and he enjoys several professional distinctions. He is a chartered professional accountant, a certified general accountant, and a certified management accountant. Businesses hire Randall Dang as an accountant to perform duties traditionally designated for a CFO. He helps businesses manage their finances, so leadership can concentrate on other higher order issues. Start Saving: A business needs to have emergency cash and assets on-hand in the event of a market slowdown, new business opportunity, etc. You need to have savings too. Try to save at least 20% of your paycheck and split the rest between fixed and variable costs. If you can’t save this much right away, save what you can and see if there is a way to reduce your fixed and variable costs to meet this goal. Use Credit Only When You Need to: If a business doesn’t have much cash on hand, it may have to rely on more expensive ways to fund daily operations and payroll. This could mean a business loan. For you, it probably means a credit card. With a credit card, you have to pay interest, which obviously you don’t want to do. Make sure you have access to cash when you need it just in case. Put Your Assets to Their Best Use: A good business portfolio will include a number of different assets, so it’s not reliant on just one thing. The same holds true in personal finance. Is it smarter to start paying more on your mortgage or use that money to invest in something that could potentially yield higher reward? See where you’re investing and if this is the best way to meet your financial goals. Not Keeping Meticulous Records if You Make a lot of Money: You’re more likely to be audited if you bring home a lot of money. For example, if you make a million dollars a year or more, you’re ten times more likely to be audited than if you made $200,000. This is why it’s extremely important to keep records so you can justify everything you report on your taxes. Taking Extraordinarily Large Deductions: Another easy way to get audited is to have glaringly large deductions in comparison to your income. You’re certainly allowed to take deductions, but if you are deducting fifty percent of your income to charitable contributions, someone might start asking questions about the validity of that claim. Claiming Business Losses Every Year: Every business, especially in the first few years, could experience business losses. However, if it happens year after year, agents might start asking questions to make sure you aren’t taking too many deductions and misrepresenting your business’s performance to get out of paying taxes. 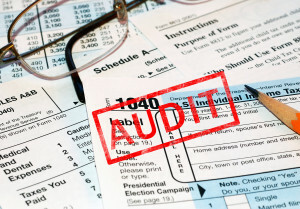 If you are scared of getting audited, just remember that audits occur very rarely. And if you are not actually trying to commit tax fraud, you should be alright as long as you keep good records. And if you’re unsure of your ability to do your business’s taxes, you can always hire an accountant like Randall Dang, who can help you file your taxes correctly. Take the Time Every Week to Update Your Books: Don’t wait until the end of the month to take care of all those receipts and receivables. A pile up of paperwork is not only intimidating; it could lead to more errors and frustrations. Block out a time in your calendar each week to prevent this from happening. Track Every Expense: Every expense matters when it comes to accurate bookkeeping. You might be entitled to a write-off and not even know it. The easiest way to track your expenses is by paying for them with a credit card that is used only for the business. That way you don’t have to worry about tracking all of those paper receipts. To make it easier on yourself, stay organized by categorizing all of your expenses too. Record Your Deposits: Another area where small business owners typically have trouble come tax-time is their record-keeping when it comes to income. Obviously, you don’t want to pay too much or too little in income taxes, so the easiest way to avoid this is by keeping accurate records of all your deposits. This includes loans, sales revenue, and other transactions where you take in money. Bookkeeping is not usually the fun part of the job as an entrepreneur, but it is a necessary step to running a successful business. Be sure to keep these tips in mind as you stay up to date on the books.